On the second My Nairobi, My city, I asked my little brother to participate. Yes, I’m starting close to home, figured that was the best way to jump into this project. 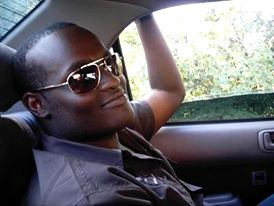 Brian Kamari was born and lives in Nairobi. I caught up with him when we went to the Nairobi International Trade Fair (or the Show) and I pestered him into talking about his views on Nairobi. He describes himself as unique, and definitely loves living in this lovely city of ours. Elly in Nairobi: Describe your Nairobi? How do you see Nairobi from your perspective? Brian: My Nairobi is unique. I have a plan to develop where I’m staying and because of that plan, every morning I wake up, I find something to do and make sure it’s finished by the time the sun comes down. Elly in Nairobi: What is your favorite place/ spot in Nairobi city? Brian: My home, I love it because it’s the place where I can be most myself. Elly in Nairobi: How would you describe yourself in Nairobi city? Brian: When I’m in Nairobi, I’m one part of a grand mosaic. When I walk along the streets of Nairobi, the people who walk past me all have dreams, their own unique qualities; we are brought together in this one city. Each of us makes Nairobi, in our own unique way. If you were to stand above the city, you’d see a mosaic of different people, and I’m one part of that big picture. Elly in Nairobi: What feeling does Nairobi give you? Brian: I feel hope. Hopeful because I believe what I choose to do, (farming, building, and business) will succeed and live on to the next generation. Nairobi is growing, spreading out her wings. And to be part of that growth is exciting and I’m full of anticipation. Elly in Nairobi: How do you feel about your fellow Nairobians? Brian: That we are all so similar yet so different. What do I mean by that? We’re all living in Nairobi. When it comes to business or shopping, we’re looking for the best deal, working toward living a good life. In that, we’re similar, but we’re also different. I’m different in my attitude. My perspective is different because of my experiences. How I look at things is not the same as the next person even my own family members. Elly in Nairobi: What is the best thing about Nairobi? What is the Worst? Brian: The Best is the Energetic People and Culture. As a Nairobian, I have to say we really get into things. Football (soccer), rugby, political rallies, haggling for the lowest price in the market, we are passionate and jump in with all our hearts. The Worst thing is also the energetic people and culture. I think we’re too curious and easily excited. When there is something major going on, like a big fire or dangerous situation, like a riot, we run to the scene even though having a crowd stops those helping, police, fire fighters from doing their job. Elly in Nairobi: Tell us more about where you live and how that has changed your view of the city? Brian: I live on the outskirts of the city, in a place I can only describe as paradise. We have so many trees and plants growing around our house, the birds have moved in. So when you wake up in the morning you’ll hear them singing. A friend came to visit once and heard them, and asked us if we had a background recording. I smiled because those birds living out there make my home so unique. These outskirts of the city are what I think are the best part. It takes me forty-five minutes to get to the main Nairobi city, so I think it gives me the best of both worlds, and has only improved on my positivity on Nairobi. Elly in Nairobi: What would you tell others about your Nairobi? Brian: Nairobi ni Kali! (Nairobi is tough) You have to be stronger. So, there you have it, a new perspective of Nairobi. Next week, there will be more interviews to come, new views. Next, a trip to the Nairobi International Trade Fair. Our first Interview on the My Nairobi, My City goes to someone I know very well. Her name is Maureen Kamari and she’s the founder and owner of Amari Bakery in Nairobi. She was born in Nairobi, grew up in the Waithaka/Riruta area. Her primary education was in Nairobi Primary School, which she remembers fondly because she made lasting friendships. She left the city for a few years, and did her high school and college abroad. She returned six years ago to start a business in this beautiful sunny city. Here’s what she has to say about her Nairobi. Maureen: My Nairobi is beautiful, grimy, busy, fashionable, tough and oh so loveable. 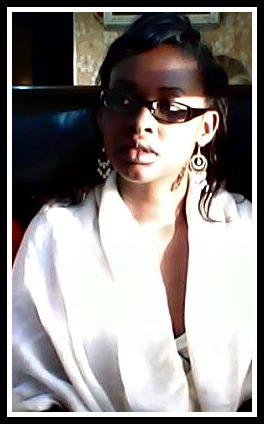 Maureen: Driving in a car in Nairobi, listening to music and watching all the activity in the city as I go by. Maureen: When I’m in Nairobi, I feel excited, motivated, renewed & inspired. All those things rolled into one. Maureen: I feel nostalgic, hopeful and happiness because to me, Nairobi is home, and the place I’m most comfortable. Maureen: I feel one with them, although there are times I don’t always understand them, I feel our unity as a city is unquestionable. When it comes to certain situations you always feel you can find another Nairobian who’ll understand it. Maureen: The Best is the People. Nairobians are so open-minded and just energetic. The Worst thing about Nairobi is the Corruption. Elly in Nairobi: Tell us more about what you do and how that has changed your view of the city? Maureen: I bake. I run a small business in Nairobi. I have met amazing people that inspire me to do great things and who keep me going even when I feel I’m going to give up. They’ll come into my shop and tell me, “This is a great job you’re doing, great job, keep going. We like coming here and seeing you doing well.” And that keeps me motivated. Maureen: She’s the best city ever! But you have to be build tough to survive her. She’s made me cakes for my birthday since I can remember and that always makes me feel very special. Maureen’s Bakery is located along Kikuyu Road in Nairobi. 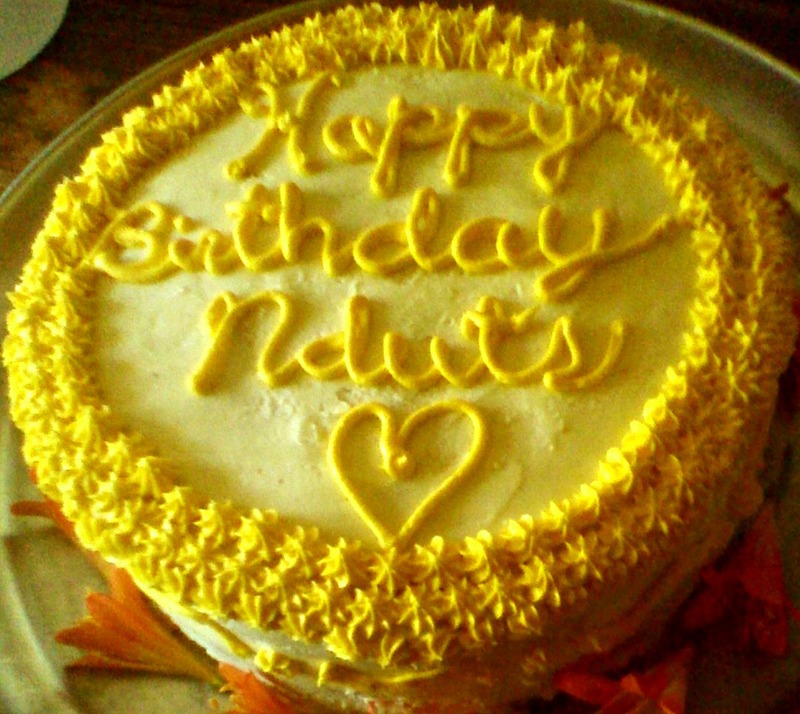 Visit her shop or order cakes online and she’ll deliver to you. Amari Bakery, Kikuyu Road, Beulah Plaza, shop no. 2. Do you have questions? Ask them and we’ll get the answers for you. This October, I’m going to be doing a My Nairobi, My City challenge. – I love Nairobi. I’ve lived outside of this city and I always return to it because I feel happiest when I’m in Nairobi. I’m surrounded by people who feel the same and I just wanted to share that about my city. 2. Why is it a Challenge? – I’d slotted in ten interviews only, but a friend told me that would be a biased show of Nairobi. So, we’re going for 100 interviews. This might take us all the way to December this year, but it will be fun getting to know how people feel and view the city Nairobi. 3. 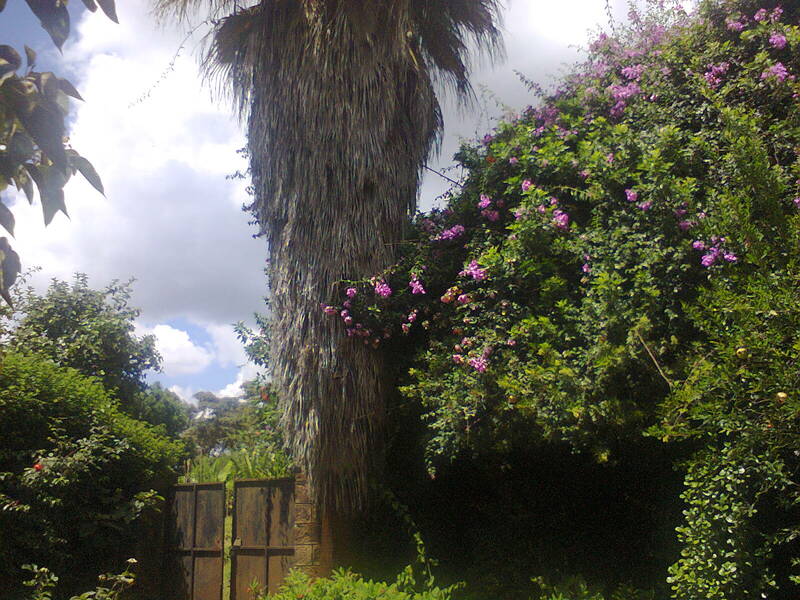 This is a chance to learn more about Nairobi, the people who live here and how they live. It is a chance to see Nairobi in a different perspective. From my own, and what is known. I’m excited about this. For those in Nairobi, if you’d like to Participate in the challenge, let me know. I’ll send you the questionnaire and all you need to do is answer some questions about your experiences in Nairobi. This past weekend has brought with it a trial none of us in Nairobi expected. I watched with horror as unknown attackers walked into a mall full of innocent lives: mothers, children, fathers, friends, sisters and brothers. These attackers have terrorized many, killed many and wounded others who were just going about their lives. There are no words to express the anger towards these attackers. No words. In this tragedy, I have seen how strong my countrymen and women are. I’m inspired and blessed to be part of this country, because of how willing to give and to help my countrymen and women are. From the men and women who helped those caught up in the mall, taking them to safety or rushing them to the hospital, offering whatever help was needed. For those of us who couldn’t help at the Westgate mall, we showed up at the blood drive in town yesterday and through the generous donations, be they cash, food, toiletries, whatever possible. We have rallied and remained strong. Even while we mourn so many. We are supporting each other, and praying for each other through this difficult time. I pray for those still held hostage within that building. I wish to give them my strength, and undying hope. 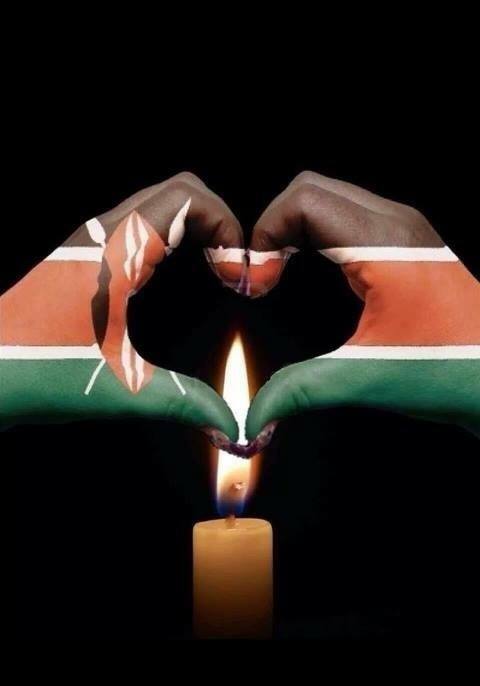 We are one, we are Kenyan. Ten days before this opportunity is up, but if you’ve got a poem ready, perfect opportunity for you to share. ArtBeat Afrika, a contemporary Africa poetry society calls for submissions from published and unpublished Africa Poets at home and Diaspora. This anthology, titled: ‘BLACK COMMUNION’ is aimed at showcasing to Africa and the world the work and talents of ‘the new Africa poet’. You MUST be an Africa or from an Africa origin to contribute to this anthology. 1. All poems must be in English. English poems with few tribal expressions and imageries are also allowed, provided they are accompanied with proper English translations. 2. Collaborations between two or more poets are ALLOWED. Note that a part of this anthology will be dedicated to collaborations among Africa Poets. 3. A poet is not allowed to submit more than 7 poems. 4. Both short and lengthy poems are welcomed. 5. Previously published works are allowed provided they are published in the last two (2) years. If you’re a writer, here’s an opportunity to expand your writer’s profile. The 2014 Commonwealth Short Story Prize 2014 is around the corner. The chance to enter is now. Commonwealth Writers develops the craft of individual writers and builds communities of emerging voices which can influence the decision-making processes affecting their lives. The Short Story Prize aims to identify talented writers who will go on to inspire their local communities. The 2014 Commonwealth Short Story Prize will be chaired by Ellah Allfrey, Deputy Chair of the Council of the Caine Prize and previously Deputy Editor of Granta and Senior Editor at Jonathan Cape, Random House. The Short Story Prize enables writers to enter from countries where there is little or no publishing industry. Authors writing in languages other than English are also able to enter stories translated into English. The Prize unearths and promotes the best new writing from across the Commonwealth, developing literary connections worldwide. The Short Story Prize is awarded for the best piece of unpublished short fiction (2000-5000 words). Regional winners will receive £2,500 and the Overall Winner will receive £5,000. Translators will receive additional prize money. Opening Date for this chance is on 1 October 2013 and the Closing date is on Saturday 30 November 2013. Entries must be submitted via the online entry form by Saturday 30 November 2013 (12 noon GMT). No entries will be considered if submitted after this date. These are the Entry Rules, check them out and find out if you can try for a chance to win this prize. Harsh realities find us when we’re least expecting them. A few minutes ago, her world had been perfect. Sitting in her cousin’s living room, cheering on her country in the London Olympics marathon, she was visiting to see her cousin’s new baby. The plan was to have lunch, play with the baby a little, and then go on her merry way back home. An hour into the marathon, casual conversation flowing lazily, like a breeze on a very sunny day, a new visitor comes in. He takes a sit, introductions are brief, and he’s part of the family in some way. Suddenly the conversation sails away from the lazy flow, storming off to the ugly side of the world. Her country is apparently at war, helping a bordering country try to fix its problems and the man seated across her is neck deep in it. Literally, he sleeps in a hole in a trench at the front line. He tells tales of watching the stars, marveling at their beauty, the next minute; he is defending his country’s freedom with rounds of fire toward an enemy who is as determined to kill him. “Stay safe,” her tone silent, soft, full of regret. But, his eyes are jaded, he has seen too much to feel the soft, his soul is hardened by the brutal human nature he meets daily fighting for our comfortable lives. Our sweet freedoms that we enjoy without much thought for his discomfort. Her country almost wins the Olympic Marathon, and although they come in second, she’s grateful for one little thing she can smile about. That and the happy baby who has finally emerged after hours of sleep, dripping with innocence, not knowing that at the borders ravaged souls defend the country they live in. She holds the baby close and prays that the baby never knows, never has to deal with the harsh realities of life.